This salad was based off of a recipe that my friend (also my daughter in laws mom) Vonnie shared with me that she found on working woman’s food.com. 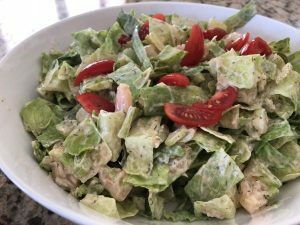 I changed the original recipe based on ingredients that I had on hand and I have to say it was one of the best salad dishes I’ve had in a long time. We enjoyed it on Father’s Day when we were able to share the day. I absolutely love Teriyaki and this flavor profile. It’s main ingredients are brown sugar, soy sauce, honey, garlic and ginger. 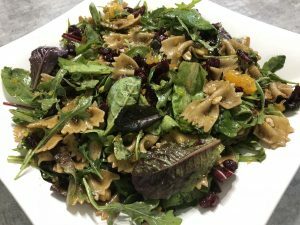 To make this salad, any store brand will do but the trick is to reduce it so it becomes thicker while the flavors are really enhanced. 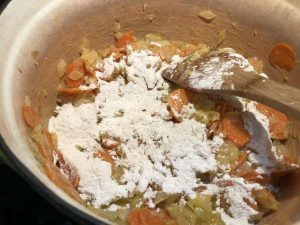 This turned out to be a large recipe, so I split the pasta mixture in half to save for another nights dinner. In a sauce pan, reduce the teriyaki by bringing the sauce to a simmer over medium-high heat, and then turn down heat to keep at a low simmer. 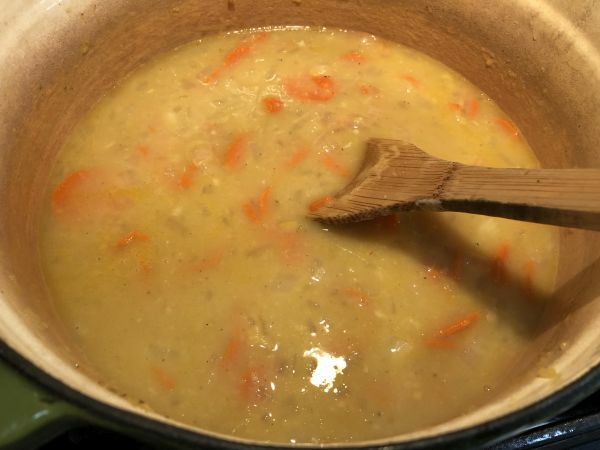 It will take about 10-15 minutes to thicken and reduce. 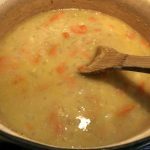 Keep a careful eye as you don’t want to burn it or over thicken. Cook the pasta according to the package instructions el dente, in salted water until the pasta firm to the bite. Drain, but do not rinse. 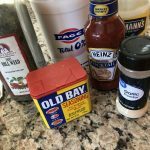 Combine the vinegar with the garlic and onion powders, sweetener, salt and pepper. While the pasta is warm, combine it with the warm, thickened teriyaki sauce and the vinegar mixture. Chill covered in the refrigerator. 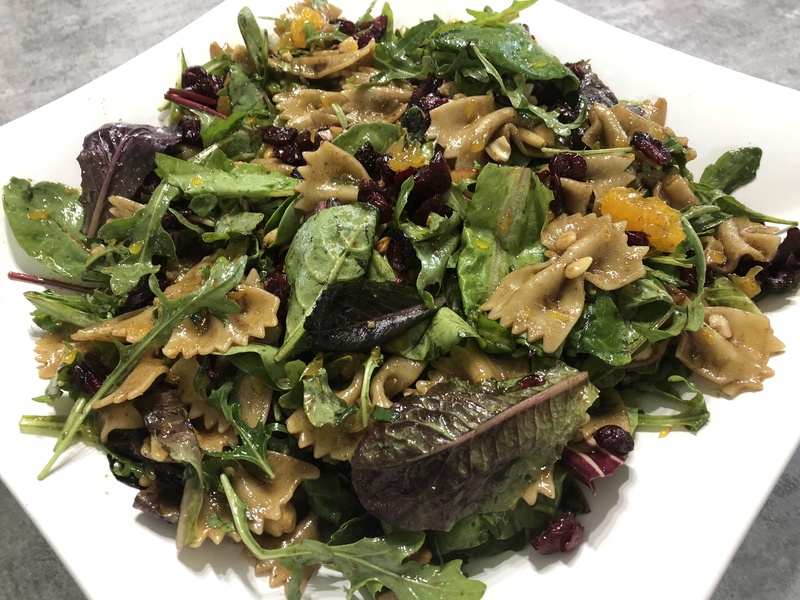 Shortly before you are ready to serve, combine the chilled pasta with the greens tossing gently, along with the cilantro, craisins, mandarin oranges, and nuts. The flavors are so intense and delicious that I think I’ll use this vinaigrette as a marinade in the future on chicken or fish! 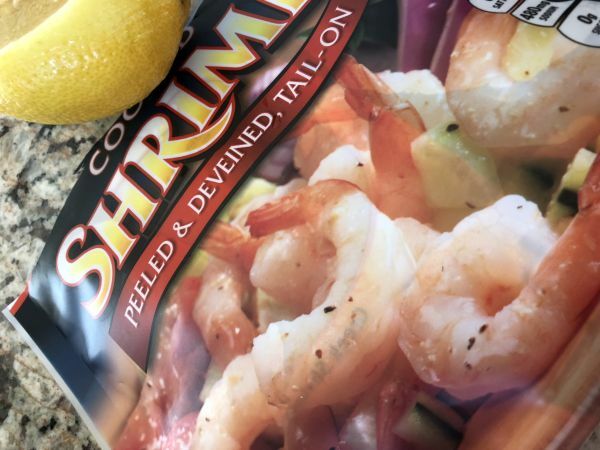 We’ve been reaching for a lot of Shrimp lately and trying to come up with different dishes to include them. It’s a low calorie source of protein and happen to be zero point item on the updated Weight Watchers Freestyle™ plan. 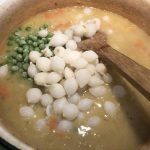 (https://www.weightwatchers.com/us/m/cms/article/complete-list-zero-points-foods) I recently heard that they are unhealthy and can elevate your cholesterol. I worry about Bill, so I did a bit of research. 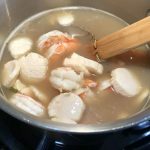 What I learned mainly is that although some people avoid shrimp due to their cholesterol content, dietary cholesterol is not the main issue with regard to heart disease. 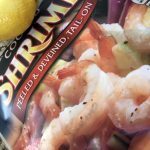 It is saturated fat and trans fat that raise your blood cholesterol levels – and shrimp contain very little fat and no trans fat. 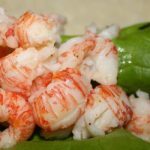 Yes, a 3-ounce serving of shrimp contains 179 milligrams of cholesterol, according to the USDA – and the Mayo Clinic’s recommended daily allowance in the United States for cholesterol is only 300 mg – But there are a lot of benefits to eating shrimp! It contains many nutrients we are often lacking, including selenium, copper, choline, zinc, niacin and vitamins B6 and B12. Plus, another benefit to shrimp is that it lowers appetite! It can increase CCK (Cholecystokinin), a hormone from your stomach that stops hunger. It also contains astaxanthin, an antioxidant that helps repair brain cells and muscle tissue. 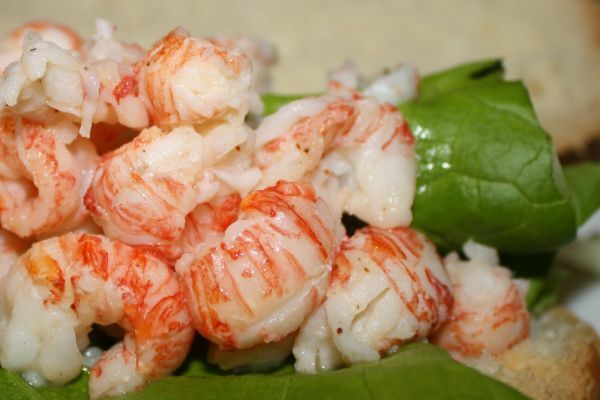 Thaw, rinse and remove tails from pre-cooked shrimp and set aside. 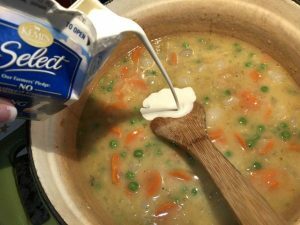 Mix the yogurt, mayo, and cocktail sauce with the dill weed, seasoning, garlic and salt and pepper. 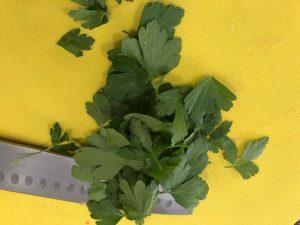 Chop lettuce and celery. 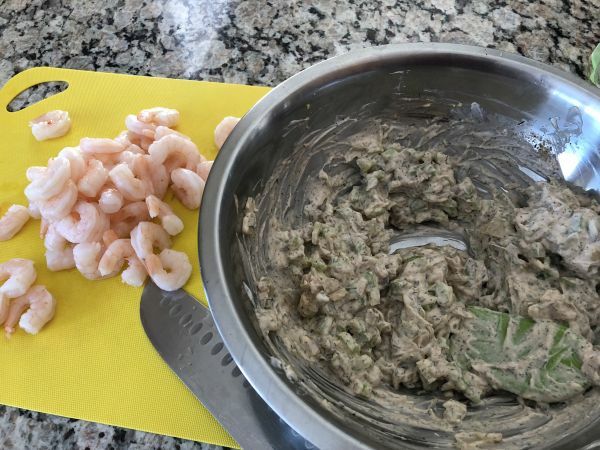 Chop the shrimp into smaller pieces if desired and combine with the dressing mix and celery. Gently fold in the lettuce. Plate and enjoy! Two servings, 3 Weight Watchers Points™ each. 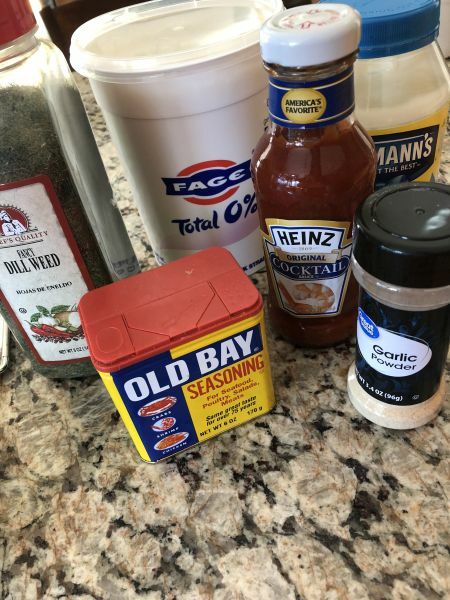 I was recently hosting friends for dinner and wanted to prepare something special. I was inspired to make a dish with a puffed pastry top while watching one of the chefs that appeared on the Food Network shows “Chopped”. A pot pie is a type of meat pie with stew that is topped with crust consisting of flaky pastry. Since I had some homemade fish stock, fresh jumbo shrimp and scallops on hand in the freezer, I decided against the traditional chicken type and headed to Costco to pick up some lobster to make this dish more succulent! I picked up Langostino (little lobster as the Spanish name suggests), which are harvested year round off the Chilean coastlines. 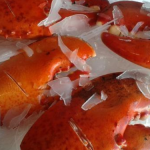 Rich with nutrients such as selenium, protein, potassium, iodine and calcium, they have a meaty texture and rose pink flesh that has a deliciously sweet taste, similar to that of lobster or shrimp and can be used as the perfect substitute in any dish. These tails are sold pre-cooked and peeled. I also found Lobster Claws that were also fully cooked, scoreed and ready to enjoy. 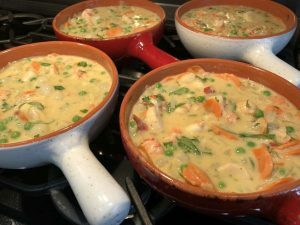 I watched an online video of Ina Garten and added some ingredients to make this dish my own. There are a few methods noted within that I would suggest differently as well. 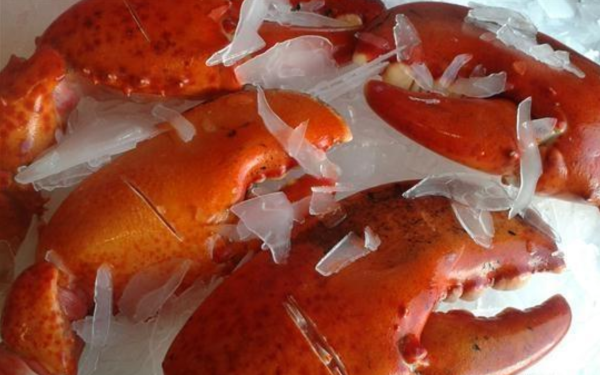 Thaw the Langostino and Lobster claws and remove the lobster from it’s shell. Rinse well and set aside. Start by melting the butter in a large pan over medium heat. 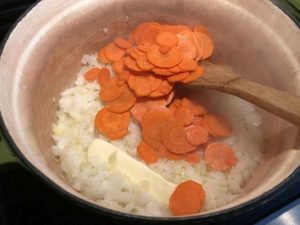 Add the chopped onion and carrots and cook for 10 to 15 minutes, until the onions are translucent. Add the garlic and cook for another minute or two. Next add flour and cook over low heat for about two minutes, stirring occasionally. 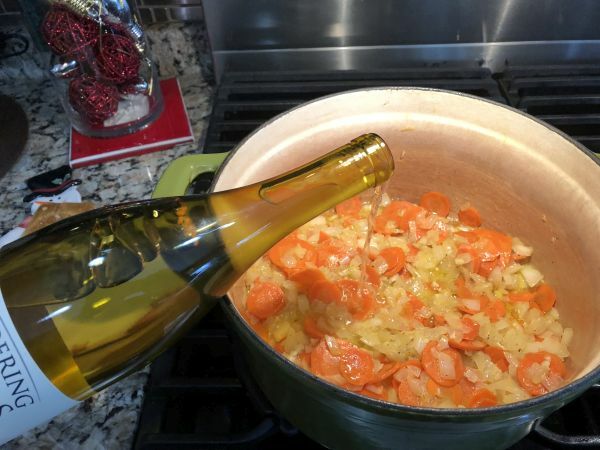 When the flour is cooked in the onion and carrot mixture, slowly add the wine and stir constantly until the flour is absorbed. 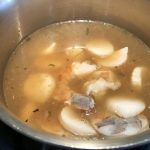 bring the stock to a simmer in a small saucepan. 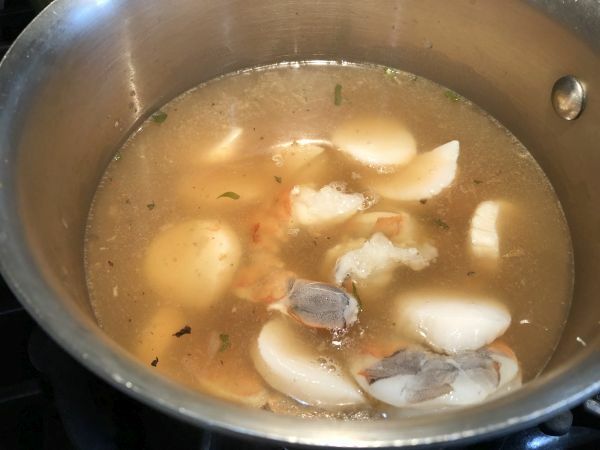 I followed Ina’s instructions to add the shrimp and scallops and cook for two minutes, just until firm but next time I wouldn’t bother cooking the shrimp at all because I felt they were overcooked in the finished dish. 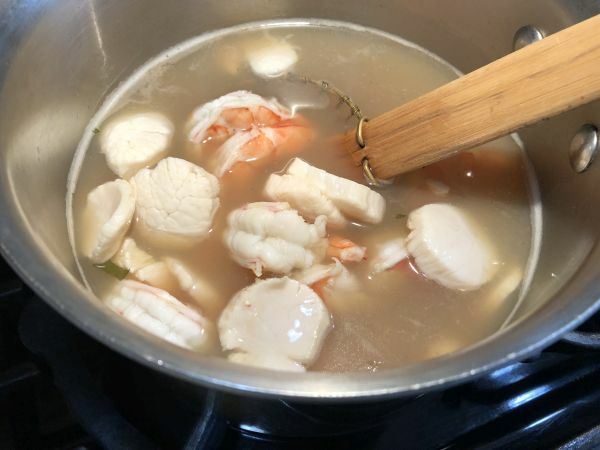 Remove the seafood to a large bowl with a slotted spoon, reserving the stock. Stirring constantly, add the reserved stock into the onion, carrot, and wine. 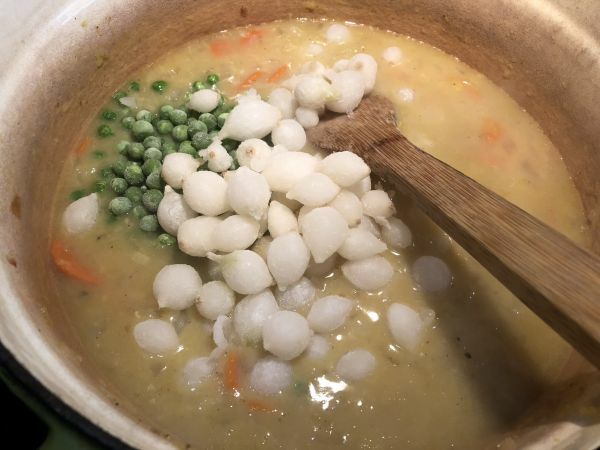 Add the frozen peas and frozen onions. Simmer for about five minutes before stirring in the heavy cream. 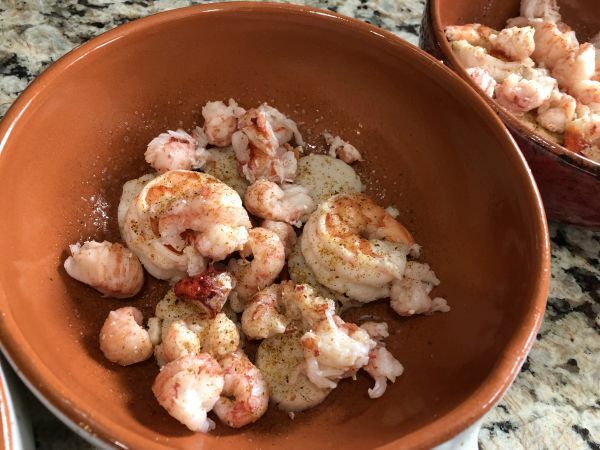 I wanted to make sure each of the portions had the same amount of shellfish, so I divided up the scallops, shrimp, Langostino, and lobster meat (but not the main claw) into individual baking dishes. 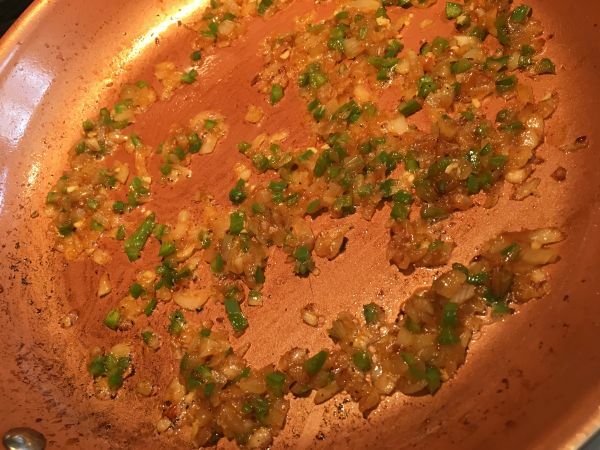 Add the Old Bay seasoning, salt & pepper to the stew to taste and stir in chopped parsley. Pour the mixture over the seafood and stir each dish gently. Bake uncovered for about 20 to 40 minutes until bubbling hot. 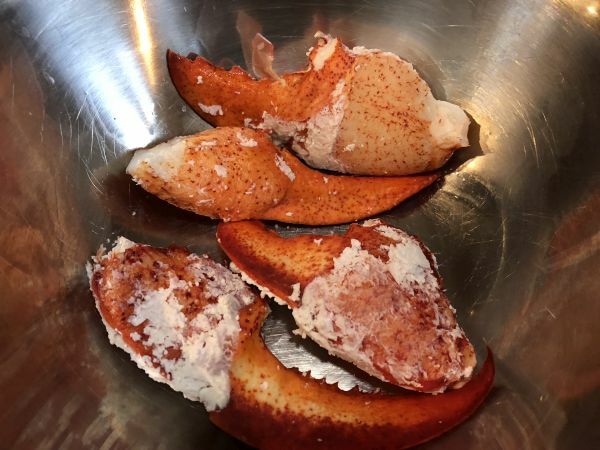 I tossed the large claws with heated butter on the ovens top and then added one per dish for the last 10 minutes of baking just to heat through. 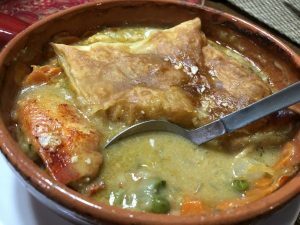 For this dish I decided to top my fillings with a piece of raw pastry and cooked for nearly an hour. Next time I would definitely cook the tops separately as they didn’t puff up as I desired. After looking at some helpful hints on puffpastry.com, I learned that it’s important to always preheat your oven to 425° for a minimum of 15-20 minutes before baking, because Puff Pastry depends on even heat to rise and puff. You then lower the heat and place the pastries one inch apart. Then top each baking dish of stew with cooked puffed pastry. 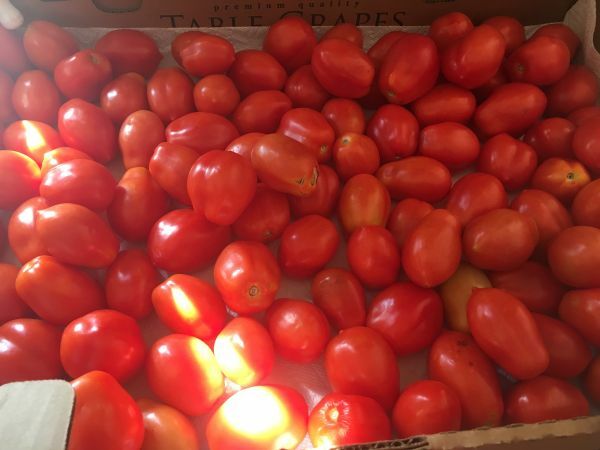 I received these Roma tomatoes free from my friend Ginny who simply didn’t have time to can this year. 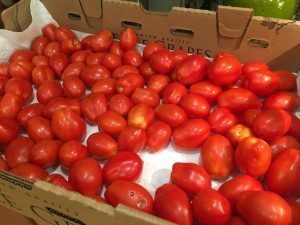 The original batch was very large and had blight, which is a disease caused by a fungus-like organism that spreads rapidly in the foliage and tubers or fruit of potatoes and tomatoes in wet weather, causing collapse and decay. 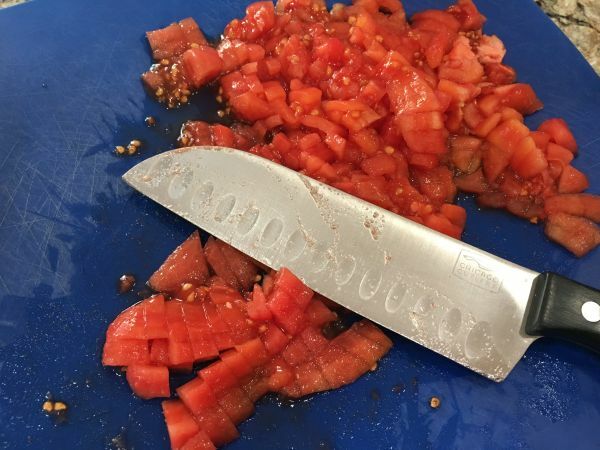 After some research, I discovered that the tomatoes are safe to eat with a little bit of attention and the removal of the dark, leathery areas. 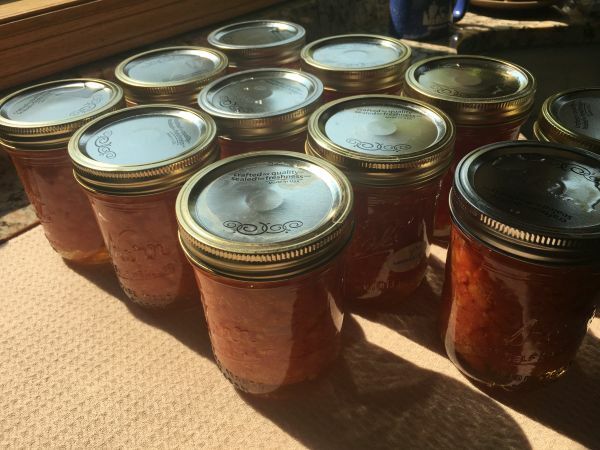 I simply pureed the good parts of the cut tomatoes, including their skin and canned about eight quarts. 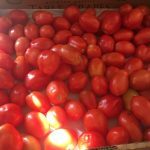 Both green and ripe tomatoes can be affected, so I discarded any of them that I had doubt and allowed the clean green tomatoes to ripen for about another week. 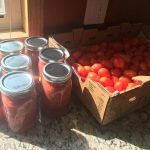 I like the Roma variety for canning because they are meatier than some of the other tomato varieties. These are canning directions for the water-bath method. Raw packed, petite diced with no water added. 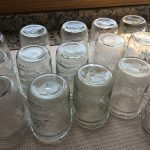 Start by washing and your jars in hot soapy water and rinse them well. Meanwhile, boil a pot of water for blanching. 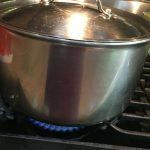 I also like to get the canning pot of water prepared by bringing it to a boil before turning it off and covering it off for quick reheating later when needed. 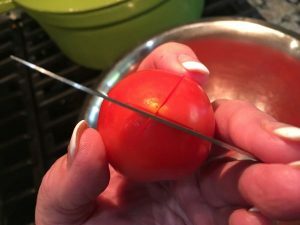 I make an “X” on the narrow end of the tomatoes. 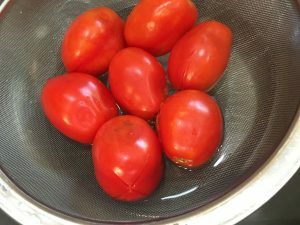 These tomatoes were about the size of a large egg, so I blanched six to eight at a time. Along with your blanching pot of water, set up another bowl of cold water adjacent to it. Also, add a third bowl to place the unpeeled tomatoes in, as well as a fourth bowl that you will place the peeled tomatoes in for later cutting. I suggest having a trash or compost handy to work over. 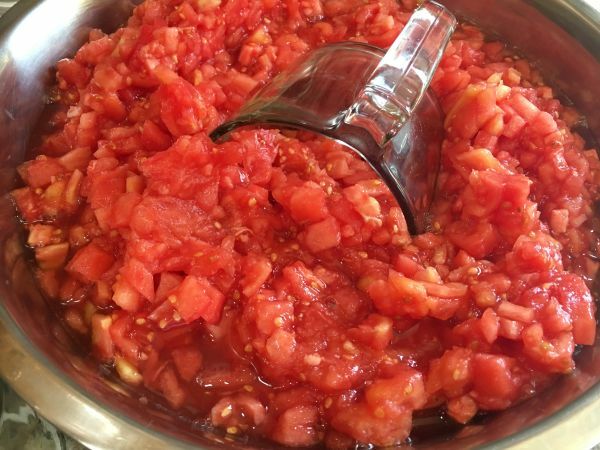 Choose mesh strainer with a handle if you have one, or you could always use a large slotted spoon. 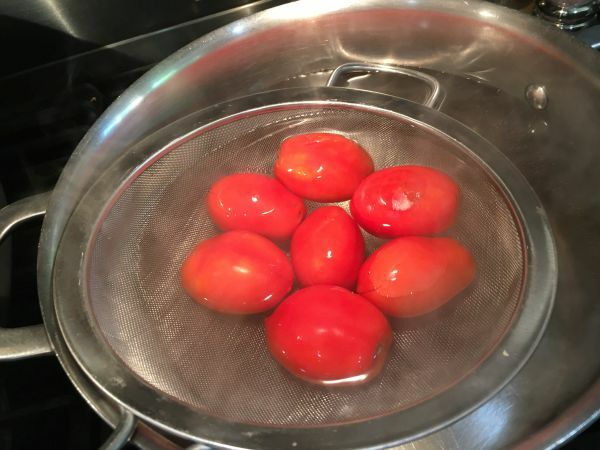 Place some tomatoes onto the strainer before dipping them into boiling water for 30-60 seconds or so. “Hey Siri” came in handy for me because as the tomatoes boiled, I continued to make “X’s” in the upcoming ones that were to be boiled. 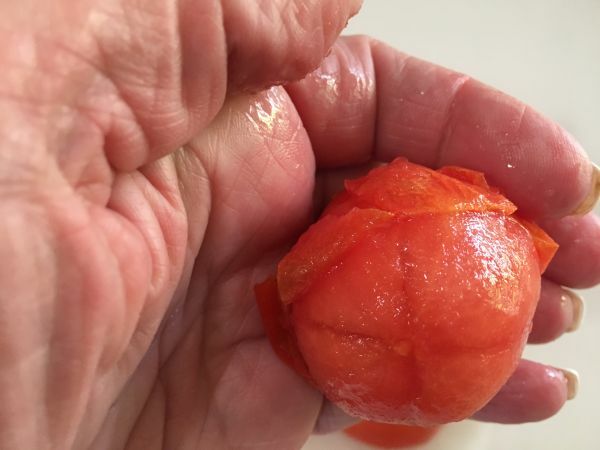 Once the timer goes off or you see the skins splitting, scoop them out and place them directly into the bowl of the cold water bath to stop the cooking. Swirl them around in the cold water for a few seconds and place them into another bowl for skin removal. You should be able to slip the skins off easily with your fingers and a pairing knife. I also like to cut out the small root end at the same time and discard the skins. Once the skins are off, place them in the last bowl until you have peeled all of the tomatoes. 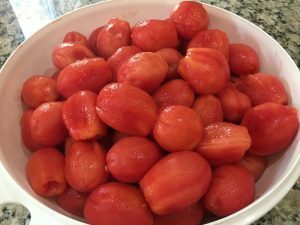 I continued to work in batches scoring the tomatoes while the others were in the hot boiling water and the entire process took about an hour. Once you have removed all of the skins you may choose to leave the tomatoes whole, half them, or dice them, however you prefer. I like the petitte diced cut but this too takes time. About another half an hour. You will want to heat your jars before filling them so that they can hold up to the hot temperatures in the canning pot. 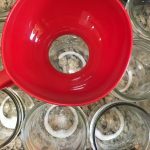 You can do this by either by pulling them from a hot cycle of your dishwasher or by placing them in a sink of hot water to heat the glass. 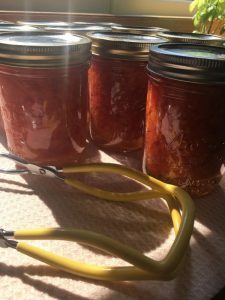 Since you are canning tomatoes in a water bath canner, add either a teaspoon of Citric Acid or bottled lemon per pint or two teaspoons per quart. This is also a good time to heat the lids to the jar. Place lids in a sauce pan, and fill with water to cover them. Heat water to 180 degrees, but do not boil them. Turn the heat off and keep the lids heated until you are ready to use them. 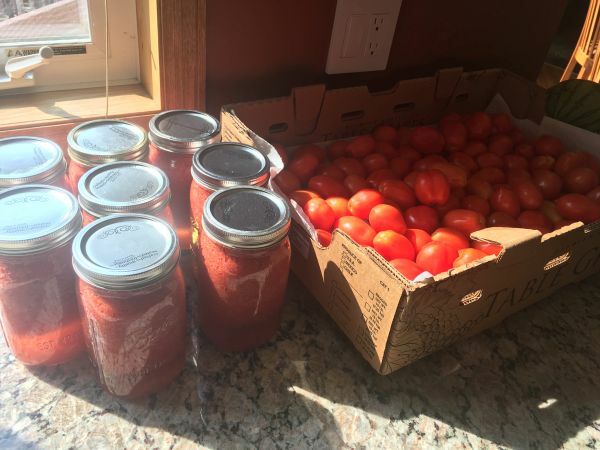 These are raw packed tomatoes in their own juice, so stir them up before filling the jars leaving about 1/2 inch of headspace of room in each jar. 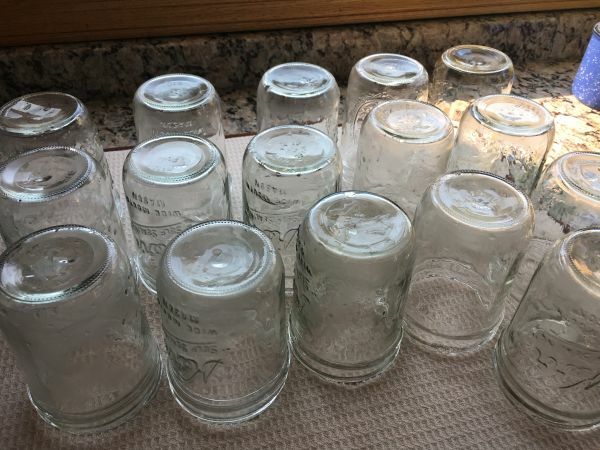 Do not add water to your jars. 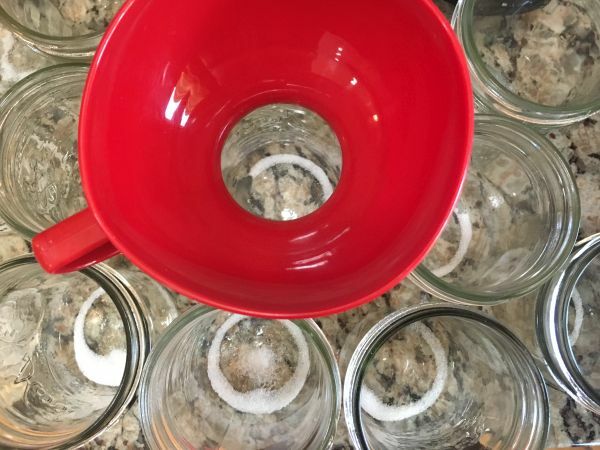 If you have spilled, wipe the rims of your jars clean before placing the hot lids on them as bits of food can interfere with the sealing process. 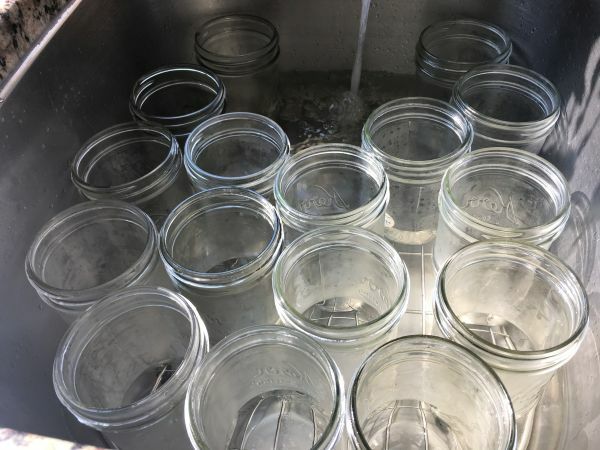 Process the jars according to Water bath instructions. 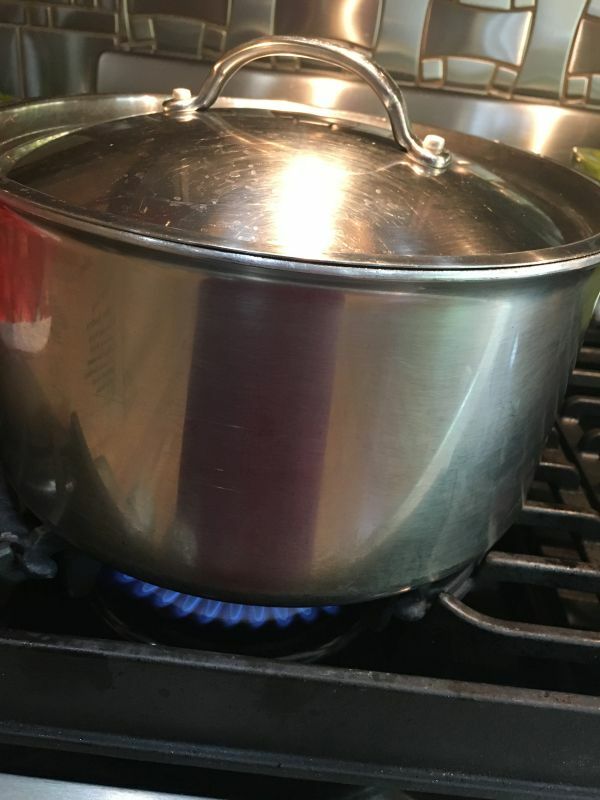 I placed the filled pint jars into my large, shallow church pot, brought the water level up to just below the screw on rings, and returned the water to a boil. I processed the jars by boiling them for thirty minutes. 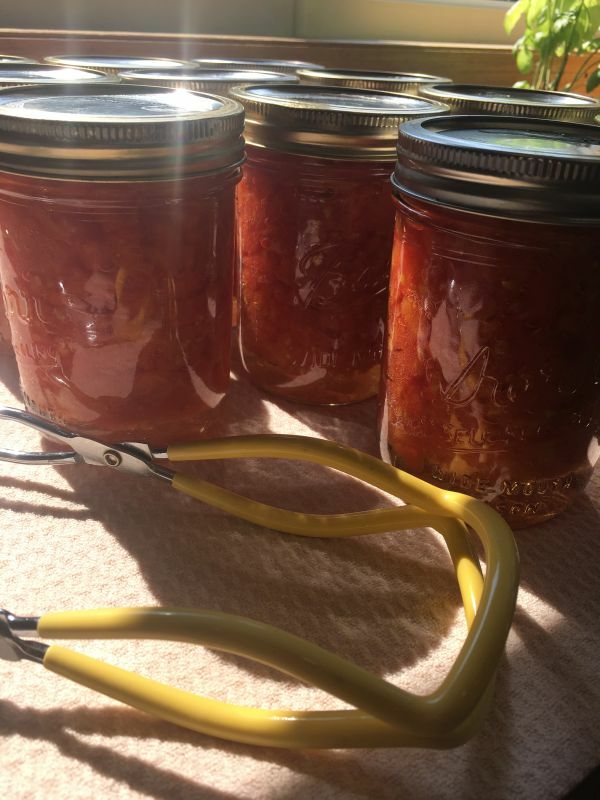 Use a canning tongs to remove the jars from the hot water and place on a cooling mat. 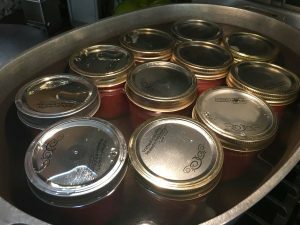 Make sure that as they cool, the lids all seal. You can do this by pressing the middle of the lid with a finger or thumb. If the lid does not spring back up when you release your finger, the lid is sealed. 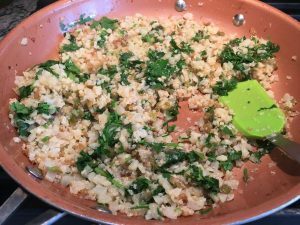 Grated cauliflower makes a fantastic low-carb, grain-free stand in for rice. 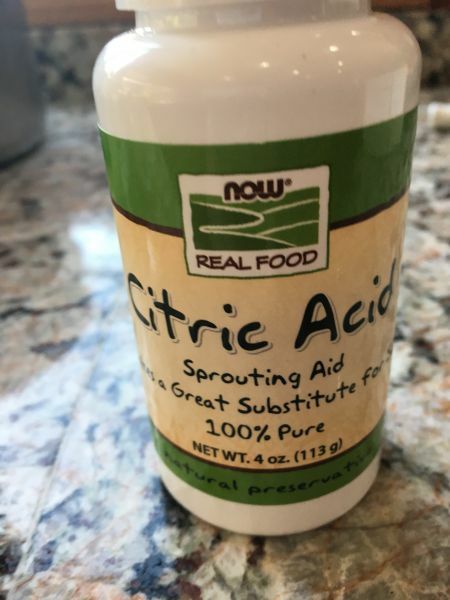 It is often considered one of the healthiest foods on earth as a member of the cruciferous vegetable (or Brassicaceae) family- along with broccoli, cabbage, kale, and brussel sprouts. 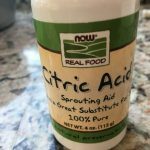 Recent studies suggest that cruciferous vegetables are an excellent source of natural antioxidants due to their high levels of various phytochemicals (any of various biologically active compounds found in plants), as well as good suppliers of essential vitamins, fiber, minerals, and phenolic compounds. Brassica crops are now highly correlated with preventing chronic diseases including cardiovascular diseases, diabetes, neurodegenerative disorders, and various forms of cancers, to name a few. 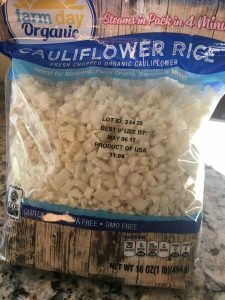 Buying cauliflower already “riced” makes cooking very convenient and you can find it at most grocery stores. I was thrilled to see Costco is carrying it now because it’s a real time saver! It’s pretty versatile and you can season it any way you wish. 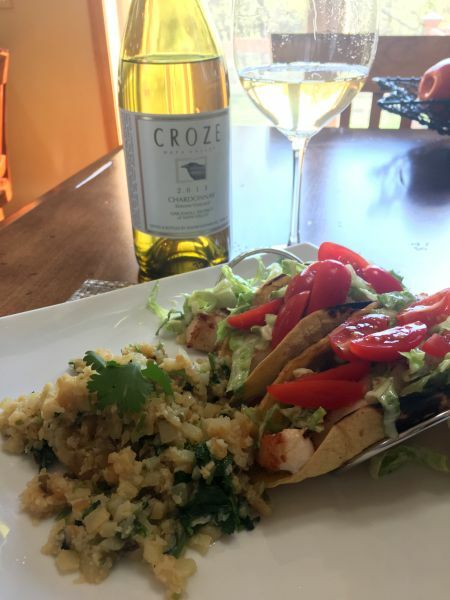 This night I brightened it up with cilantro and lime and served it with fish tacos. 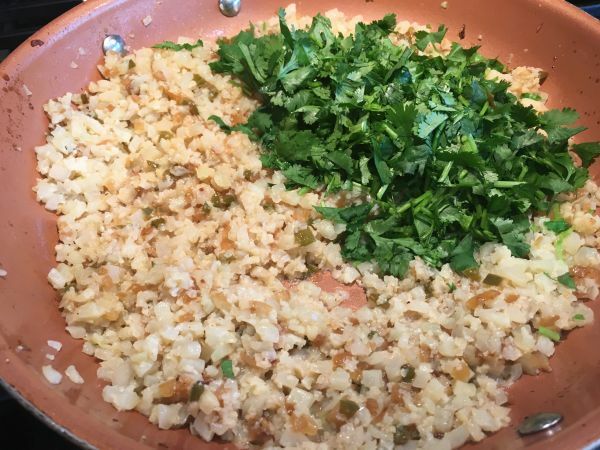 It has a nice texture and is perfect as a side dish that you might normally serve with rice! 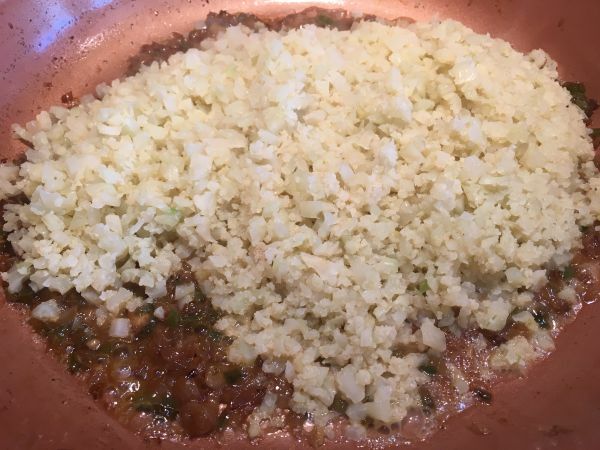 If not using pre-riced cauliflower, rinse and remove the core from cauliflower and allow it to dry completely. 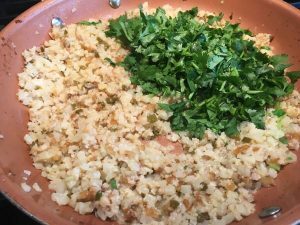 Coarsely chop into florets, then place half of the cauliflower in a food processor and pulse until the cauliflower is small and has the texture of rice but don’t over process or it will get mushy. Set aside and repeat with the remaining cauliflower. Heat a large saute pan over medium heat, add oil, onions, and jalapenos. Sauté about four to five minutes until the onions are until soft. Raise the heat to medium-high and add the cauliflower “rice” to the onions in the saute pan. Cover and cook approximately five minutes, stirring frequently, just gently cooking it through until the cauliflower is slightly crispy on the outside but tender on the inside. Season with salt and pepper to taste. Turn off the heat and toss in the with fresh cilantro and zest to taste. 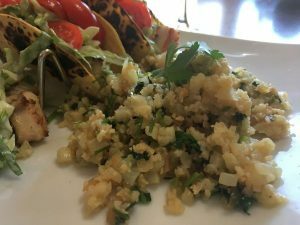 Squeeze the fresh lime juice over the rice and serve. We enjoyed this with fish tacos and a standout 2011 Napa Chardonnay by CROZE. Wine maker Daniel Benten makes this is all about the purity of the fruit and it’s awesome!